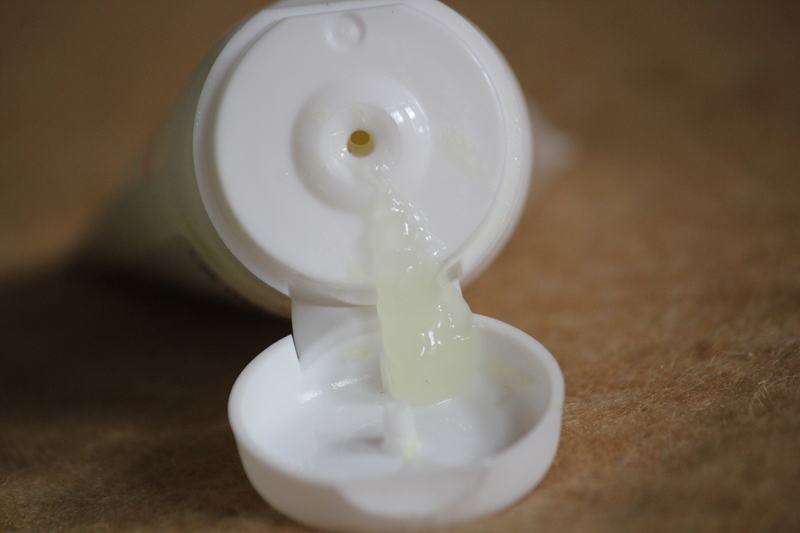 Polyacrylate polymer, Glycerine, Tamarind extract, Prunus Persica etc. Tamarind has been known for ages to cleanse, lighten and brighten the skin. This product’s star ingredient is definitely the tamarind extract. O3+ Professional Derma Fresh Mask (Rs.425/- for 50 gm – though it is cheaper online) is a transparent, gel-like mask enriched with brightening and calming properties, helps in detoxifying and refreshing facial skin. The mask has transparent lumpy particles – not beads – but more like a pulp. These don’t dissolve as you spread or rub the mask. It has a mild floral fragrance. The packaging is simple, but easy to use and carry. O3+ Derma Fresh Mask is quite thick in texture, hence more amount of product is required per application. As directed, it should be applied on damp face, or else the mask won’t spread easily. Once applied, it gives a slight cooling sensation. The mask dries off quickly in about 10-12 minutes. It easily comes off with a few splashes of water and doesn’t leave behind any slippery feeling despite being a gel based mask. Post use, my skin looks bright and glowing. 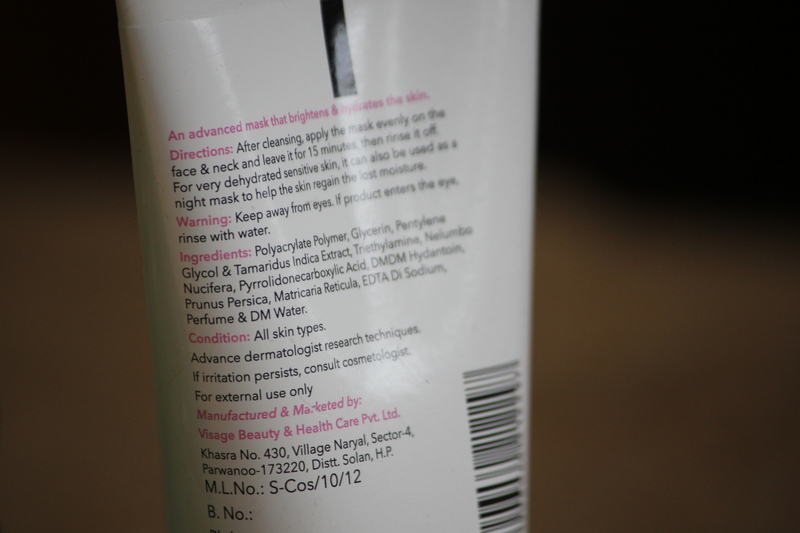 The very first time I used this, my dull skin looked really fresh and awake. This gave my dull skin a lift. 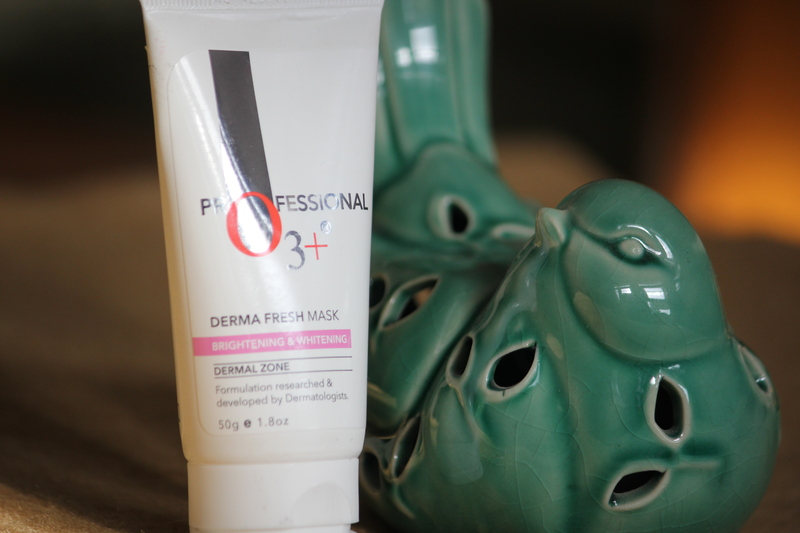 O3+ Derma Fresh Mask gives an instant boost to my dry, dull skin. I like that it takes only 10 minutes for the whole process, but I add in a couple of extra minutes to massage this mask all over my face and neck. Doing this makes the skin supple. After cleansing, apply the mask evenly on the face and leave it undisturbed for 15 minutes. Gently wipe of the mask with a wet towel or leave on. Use thrice a week.